As an international body, the Red Cross has existed since the mid-1860s, and originally functioned as a way to ensure that medical workers were treated as neutrals during times of conflict. If a person or a building was identified with a red cross (the symbol came from the Swiss flag), under the Geneva Convention they could not be a military target. The Red Cross Society was begun in Canada in 1896 by George Sterling Ryerson, whose experiences during the North West Rebellion convinced him that the Red Cross should have a presence in Canada as well. 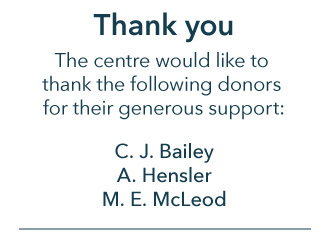 Like most organizations in Canada at the time, the Canadian Red Cross was under the direction of the British Red Cross Society and not actually a self-governing entity. The Canadian Red Cross participated in medical operations during the Boer War and by 1909 was able to raise money for international aid. 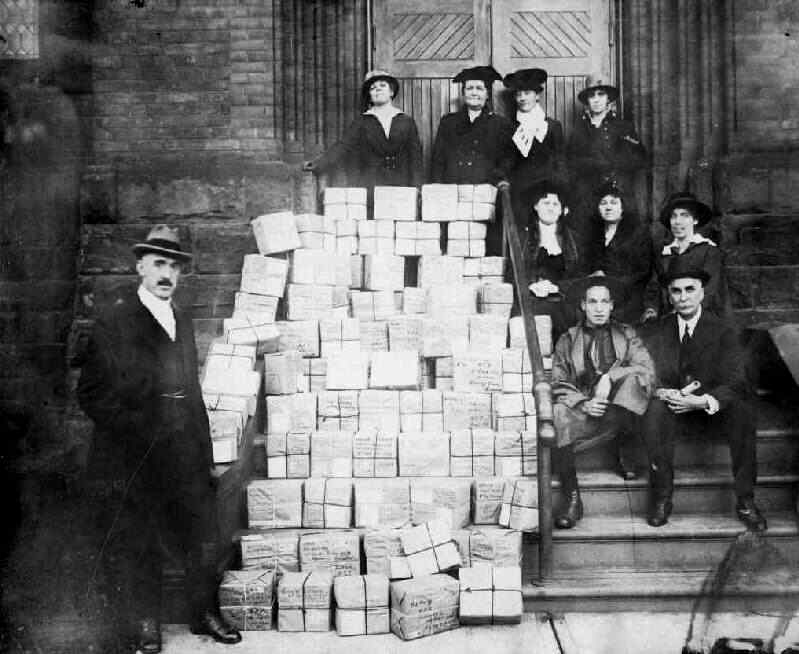 At the outbreak of the First World War, the Canadian Red Cross immediately began preparations for what was to prove a massive medical need. Many women participated as volunteers, rolling bandages and knitting socks for the soldiers overseas. They also raised a total of 35 million dollars of relief money through local fundraising drives, volunteering throughout the war. The Canadian Red Cross established and managed 6 hospitals in England and France, staffed with professional staff from Canada, as well as a fleet of ambulance drivers. The Red Cross also provided packages to prisoners of war that as the war wore on and food in Germany became scarce proved to be almost essential to survival. Like the Salvation Army and the YMCA, the Red Cross provided services to the men at the front as well, such as aid posts and rest huts staffed almost entirely with volunteers. The First World War, as for many other aspects of Canadian society, was a proving ground for the Canadian Red Cross. Its organization of supplies and money, as well as its demonstrated ability to establish and maintain hospitals meant that by 1927, the Society was considered as independent of the British Red Cross Society entirely. The Canadian Red Cross went into the Second World War under its own organizational power and continued to extend the tradition of care and aid that it had established 25 years before. Hello , I anam doing some research into red cross hospitals etc in WW1 you mention in your text that the canadi red cross had 6 hospitals and a fleet of ambulances , Do you have any information regarding how they where equiped ,staffed and the numbers involved both male and Female ? Thank you for getting in touch. May I suggest that you approach the Canadian Red Cross archives for more information? They will have solid numbers on recruitment etc. 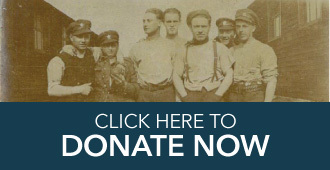 You can visit http://www.redcross.ca/about-us/about-the-canadian-red-cross/historical-highlights/the-first-world-war–1914-1918 or email their archivist directly at archives@redcross.ca Good luck!